Sew Now will expand your skills with inspiring projects and ideas using customisation, refashioning, dressmaking and simple sewing techniques. With fresh fabric reviews, style advice and hundreds of handy hints and tips you will be able to transform and personalise your home and wardrobe with ease. 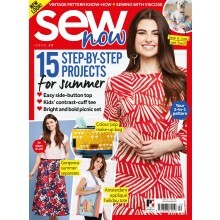 Every issue features home dècor content, upcycling ideas, and high-street trends plus TWO top-quality dressmaking patterns worth over £16. 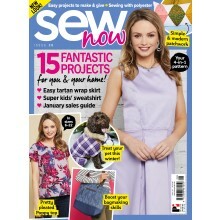 No matter what your sewing ability, Sew Now will challenge, inspire and help you to sew your style, your way.